Jugo tres en uno is a nutrient-dense, healthy, and mouth-watering blend of three superfoods. Here is something more about the benefits of this trio of amazing fruits and veggies. Oranges are abundant in B vitamins, vitamin C, potassium, and flavonoids, a type of antioxidants. These antioxidants reduce chronic inflammation and prevent chronic diseases like diabetes, cancer, dementia, cardiovascular disease, and osteoporosis. Vitamin C found in oranges offers many benefits as well, from keeping the lining of blood vessels limber and preventing cell damage by oxidation to keeping fat levels in the blood in check. Ultimately, B vitamins like folate and thiamine improve digestion and manage type II diabetes. Beets are packed with thiamine, anti-inflammatory antioxidants, nitrates, and minerals like manganese. Beet juice has been shown to lower inflammation and oxidative stress in the body as well as to prevent chronic conditions like atherosclerosis and hypertension. The aforementioned nitrates are effective at preventing cognitive impairment while manganese improves kidney function and helps manage diabetes in an all-natural way. Carrots are an excellent source of healthy, anti-inflammatory antioxidants, vitamins and minerals like carotenes, vitamin A, iron, magnesium, and potassium. 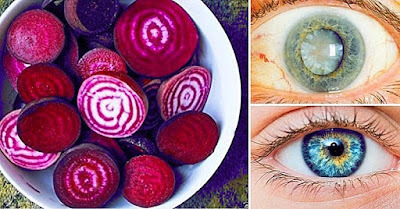 In addition to taking part in anti-inflammatory processes, vitamin A also helps improve eyesight, particularly night vision or vision in people who are deficient in vitamin A. It also prevents eye disorders like cataracts and macular degeneration. Carotenes, vitamin A, and retinoic acid, a compound produced by the body in presence of vitamin A, are also capable of preventing skin cancer, repairing skin damage, and increasing our immune system. Ultimately, potassium decreases osteoporosis, slows down the progression of kidney disease, and reduce death by cardiovascular disease. So, if you have any oranges, beets and carrots in your produce drawer, act on it! Run them through the juicer to make your own nutrient-dense and tasty tres en uno for a yummy anti-inflammatory snack!